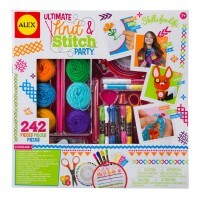 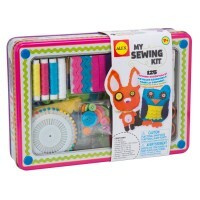 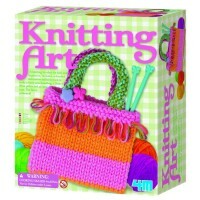 This 4M small craft kit is designed for girls to make their first steps in embroidery. 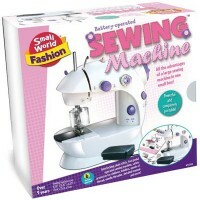 This 4M small craft kit is designed for girls to make their first steps in embroidery. 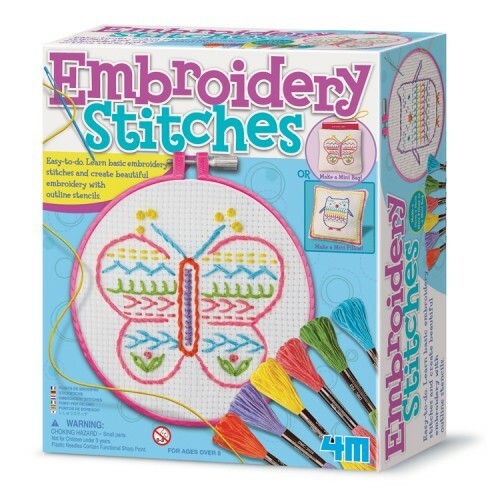 Learn to stitch embroidery and make your own sewing art projects with the Embroidery Stitches Craft Kit. Perfect for beginners, this first embroidery craft comes with the step-by-step instructions and craft supplies to learn stitching techniques. 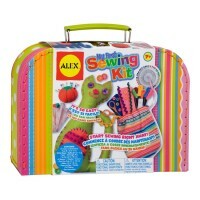 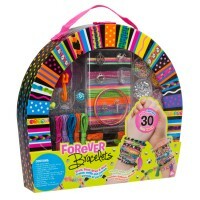 With this sewing craft set girls will have creative time stitching on the embroidery cloth or decorating their own accessories. 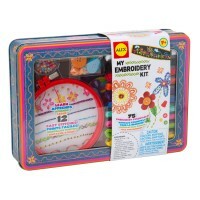 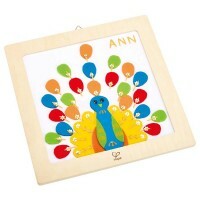 The Embroidery Stitches Craft Kit from Educational Toys Planet comes with embroidery hoop, 7 spools of embroidery floss, embroidery cloth, templates, plastic needle, stuffing, and easy-to-follow instructions. 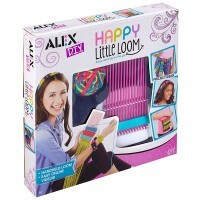 Embroidery often starts a childhood hobby, and lasts for a lifetime. 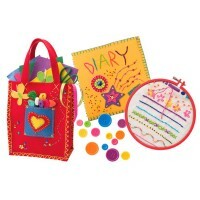 Dimensions of package 5.25" x 7.25" x 2"
Write your own review of Embroidery Stitches Craft Kit.